One of the most difficult aspects of recovery is returning to a normal life. Depending on how severe the addiction was this could mean simply returning home to a loving family or slowly painstakingly rebuilding what the drugs destroyed. Another sad fact of addiction recovery is that some addicts do not have a home, job, or family to return to or their circumstances at home may not be safe for them. Many addicts come from abusive, violent, or exploitive homes. Recovery is not an easy process and detox is only the first step. Getting through withdrawal although difficult is just the beginning. In order to maintain recovery, it is important to avoid relapse. This is one of the most difficult parts of recovery. According to the National Institute on Drug Abuse, aftercare and continued support is vital to preventing relapse. Recovery communities offer unique options to help recovering addicts avoid relapse. Recovery communities are residences that are centered on getting and staying sober. These communities provide support for recovering addicts. A rehab center, government project, or a private company usually organizes them. They provide a variety of services to people who are recovering from one form of addiction or another. What Services do Recovery Communities Provide? Recovery communities offer support and belonging. Recovery communities provide a variety of services. They might be a part of a comprehensive after care program, court ordered, or completely voluntary. These services generally coincide with those that most rehab centers also offer. Individual counseling – one on one counseling with a therapist, holistic counselor, or psychologist. Group counseling – peer supported counseling sessions guided by a therapist. Career counseling – help with regaining employment and career changes due to job loss. Financial counseling – help with budgeting, financing, and getting back on track with money. Nutrition and dietary advice – help with meal planning and other dietary concerns. Medication management programs – for addicts who need medication replacement therapy. Services may vary depending on the recovery community program or support system. 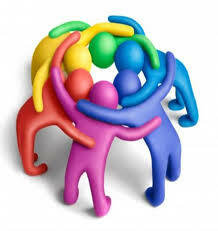 Usually the type of recovery community and the needs of the client dictate the services provided. Some of these communities even have onsite education opportunities and life coaching to help a recovering addict improve their life and their circumstances. What are the Benefits of Recovery Communities? Recovery communities offer some unique benefits and options for their clients. One of the main benefits to recovery communities has to do with location. When an addict first leaves inpatient treatment they’ve only just learned how to deal with triggers and cravings. The first few months back in society are a crucial time in recovery. The chance of relapse is extremely high. The environment that they came from is wrought with triggers, reminders, friends, and family that might use drugs. These are all factors in relapse. In a recovery community, a recovering addict is not immediately exposed to these factors. They have the opportunity to adjust to their new sobriety, use their new skills in dealing with relapse, and avoid the things that they cannot handle. Another benefit of a recovery community is the presence of counselors and other addicts. Other addicts tend to form a support structure for each other. They keep each other on the right path. The added support of mentors and counselors helps a recovering addict to transition back into society. This sense of community and fellowship is a crucial part of recovery. Aside from the support and counseling available, recovery communities also offer structure for addicts. When an addict stops using, they sometimes find they have a lot of time on their hands. They may be idle at home and the lack of structure often leads to boredom, which leads to relapse. The structured environment helps them to build a routine that does not involve drug use. Many recovery communities also offer access to school, classes, and other programs that focus on rebuilding their lives. They allow recovering addicts to choose what they want to do with their free time and help them learn new coping mechanisms or skills. As with any program, there are drawbacks to recovery communities. One of the main drawbacks to recovery communities is the stigma attached to them. People know them as halfway houses, which has a social stigma attached to it. Unfortunately, without public education there is no way to correct this. do chores and other activities to help around the house. Along with these, residents are also required to follow a variety of rules. This environment proves to be very uncomfortable to many residents. According to the Substance Abuse and Mental Health Services Administration, safe housing is one of the most important aspects in preventing relapse. Recovery communities provide this safe housing as well as a sense of belonging, continuing counseling, and a place to transition back into society after battling addiction. Addicts recover better when they have proper after care. This means continued counseling and help adjusting to life without their drug of choice. Recovery communities provide this after care while helping the recovering addict with their living circumstances.